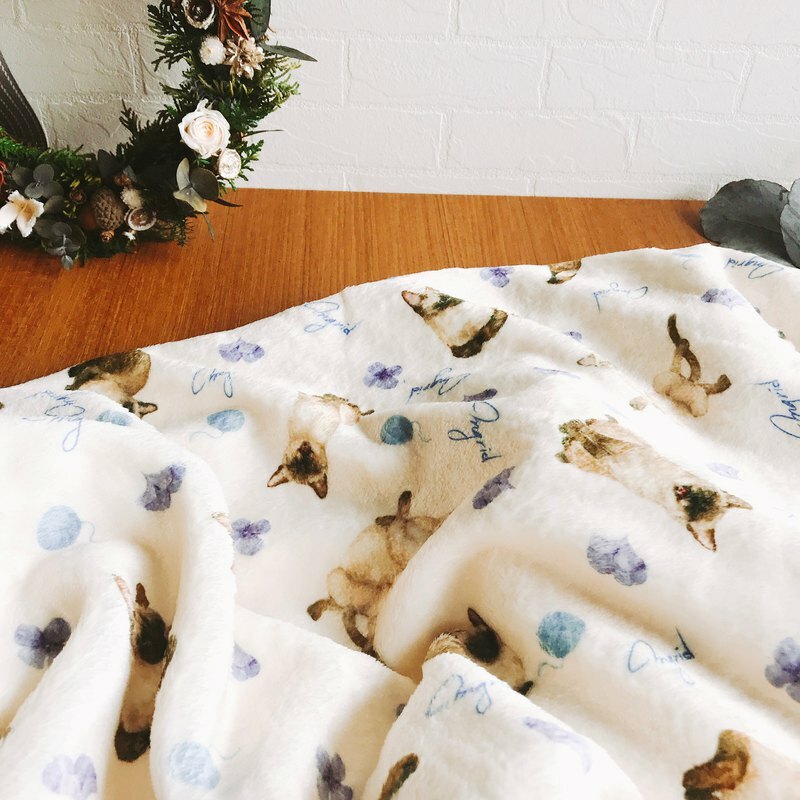 The Siamese cat blanket can be used as a pet blanket or as a cold air blanket on the car, or as a home blanket, or as a nap blanket or knee blanket when you are in the office for a nap. The Siamese cat blanket can be used as a pet blanket or as a cold air blanket on the car, or as a home blanket, or as a nap blanket or knee blanket when you are in the office for a nap. Delicate weave, smooth and soft to the touch. No lint, you can drop the washing machine in the net bag, it is recommended to use cold water. Style: beige bottom Siamese Size: 80 x 120cm (other double size can be customized for private messages) Fabric: flannel *Photograph props other than the marked product *Each screen has a color difference. Please think clearly before you place an order.